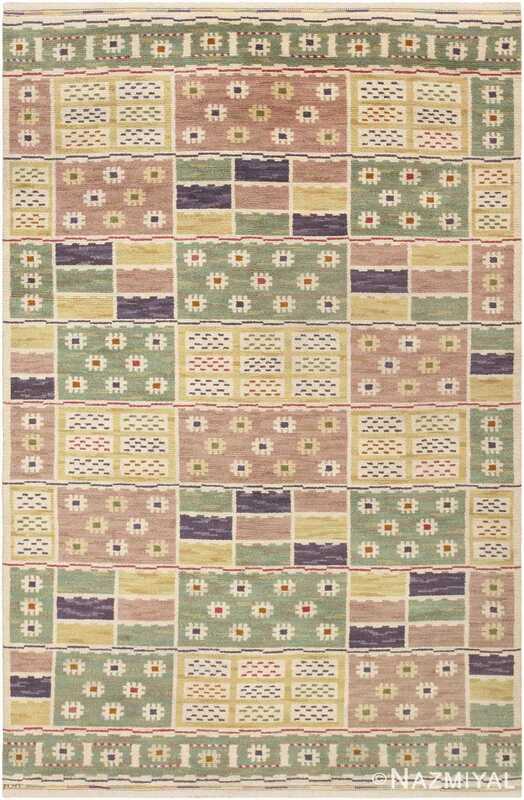 Vintage Scandinavian Rug, Origin: Scandinavia, Circa: 1925 – Designed by the legendary Marta Maas-Fjetterstrom and subsequently produced by MMF AB, this understated vintage rug entitled ” Sommarmattan,” or summer carpet, illustrates the development of Fjetterstrom’s original style. 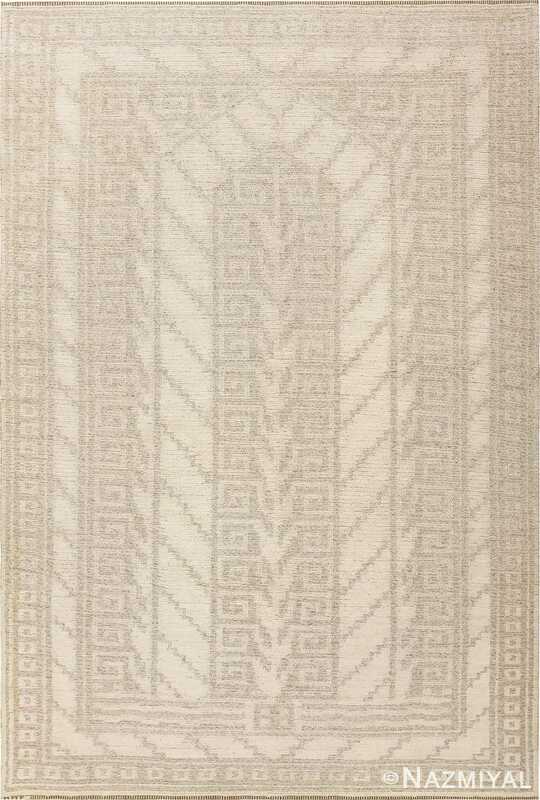 Following Oriental traditions, the understated composition features a central striped field enclosed by checkered guardbands and complementary borders. 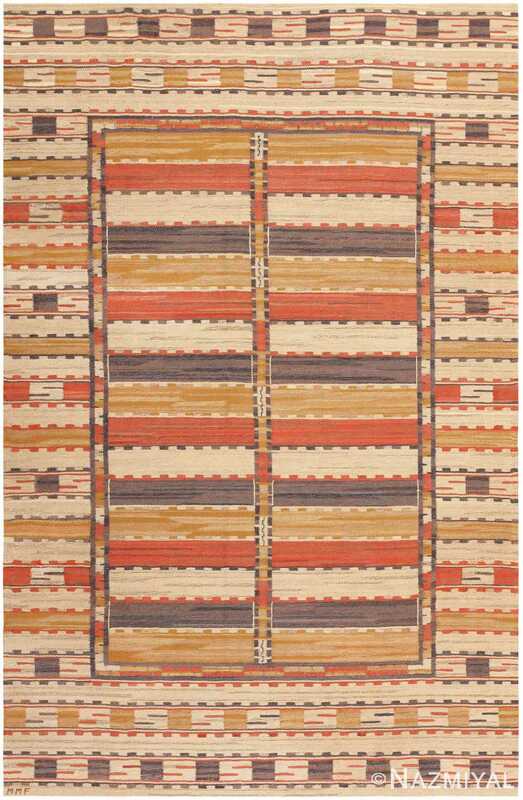 Golden ochres, warm terra-cotta reds, canvas-like ivories and cool bistre tones are artfully incorporated in a sleek and consistent pattern of wide stripes and narrow turreted accent pieces. Complementary stripes fill the wide borders along with contrasting rectilinear S-hooks that have a distinct Eastern appearance. 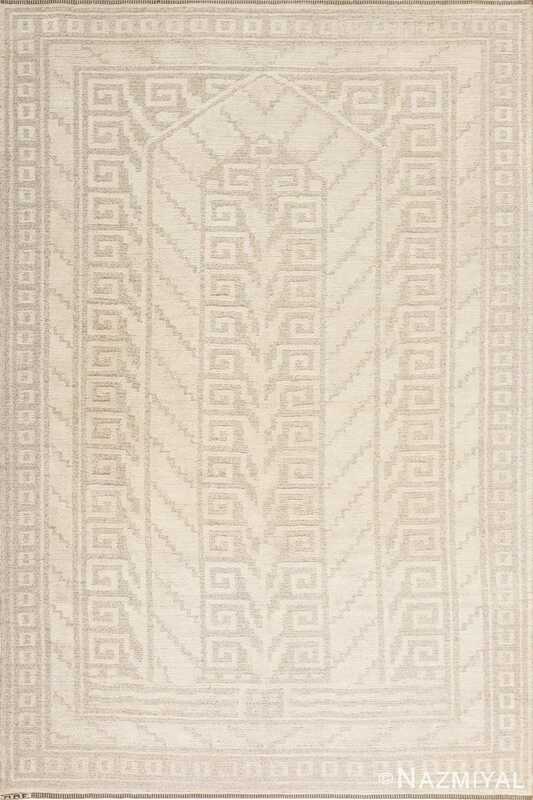 Like Fjetterstrom’s most famous designs, this archetypal composition uses modular components to create a formal, well-thought-out design that makes use of the flat-weave textures, limited color scheme and rectilinear geometry associated with kilims and flat-weave textiles.